One moment I had it all – a gorgeous husband, a beautiful home, a fulfilling career and two adorable children. The next, everything came crashing down around me. They said it was my fault. They said I’m the worst mother in the world. And even though I can’t remember what happened that day, they wouldn’t lie to me. These are my friends, my family, people I trust. But then why do I have this creeping sensation that something is wrong? Why do I feel like people are keeping secrets? Am I really as guilty as they say? And if I’m not, what will happen when the truth comes out…? I have previously read The Dead Dog Day by Jackie Kabler which I did enjoy but remember early on in that book working out who the murderer was. When the cover was revealed for her new novel Am I Guilty I was instantly intrigued and headed off to Amazon to read the synopsis and straight away my interest was piqued and I was looking forward finding out if this storyline could keep me guessing. Thea is living a nightmare, her happy content world has been turned upside down by the death of her son Zander and its all her thought …… Or is it? I found myself sympathetic to the situation Thea found herself in and I was convinced from early on that what she believed had happened on the day in question wasn’t true. Each of the chapters alternate mainly between Thea, Flora and Annabelle with addition of a couple of chapters by Isla, Rupert and Greg which allows us to get to know each of the characters as well as forming a picture of the events of that day through their eyes. Although there are a lot of characters points of view in this book they were all well-formed and at no point in the book did I lose track on who was who. 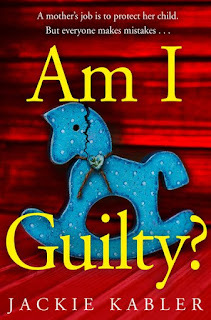 Am I Guilty is in a completely different league to Jackie Kabler’s previous novels, this one had me totally gripped and in suspense the whole way through. At around the half way mark I did have my suspicions as to who I thought may have had a hand in the events of Zanders death but even though I had these inklings the tension then intensified and what was then revealed towards the last few chapters was a complete shock that was disturbing and unpredictable and I found myself constantly wavering thinking everyone seemed to have a motive. Without giving anything away I just have to say the way things are left between Thea and Annabelle is much more amicable than I would have been had I been in the same situation! Am I Guilty is a gripping and sinister storyline full of hidden secrets and fractured relationships. I am now looking forward to future novels by Jackie Kabler. Am I Guilty? is available on Kindle today. The Paperback is currently expected to be released 27th June. I am so happy that this moment has finally arrived. I remember talking to Kim Nash at a book event a couple of years back and her telling me she had been working on a novel. Kim has very similar book tastes to me and she is as passionate about reading as I am so I have been keeping everything crossed that one day I would be reviewing her book on my blog and that moment has finally arrived. AMAZING GRACE IS OUT NOW! Now she's a single mum to Archie, trying to find her way in life and keep things together for his sake. Saturday nights consist of a Chinese takeaway eaten in front of the TV clad in greying pyjamas, and she can’t remember the last time she had a kiss from anyone aside from her dog, Becks. Amazing Grace is the debut novel by Kim Nash and what a beautiful novel it is too. Our protagonist in this novel is Grace who is a single mum to her adorable son Archie. 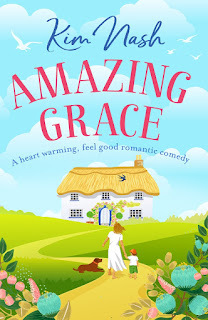 Grace is on a learning curve as her life has changed since leaving her husband who still lingers around like a bad smell in the background, she is now working but she still has her own dreams and goals too. 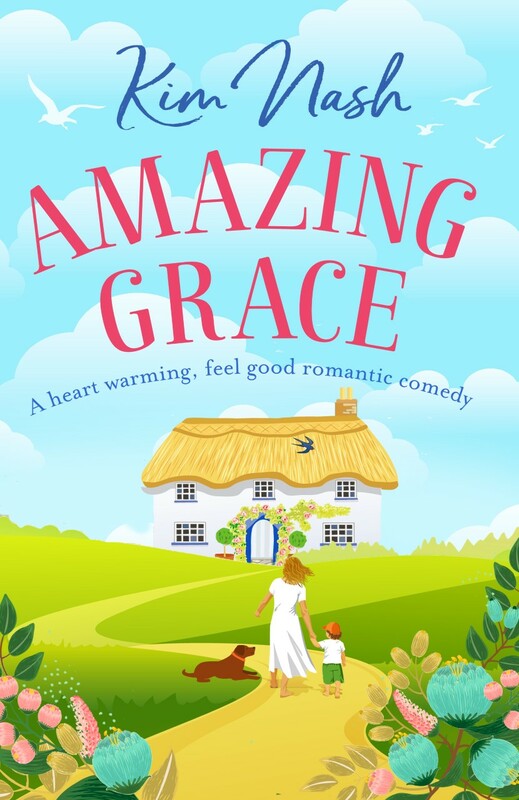 Grace is thrown back in to the daunting dating world by her best friend but can Grace find a man worthy of her heart and who her little son Archie would agree with? Grace is a very down to earth and realistic character which only made me love her even more, she soon felt like a friend who I wanted to see grab the happy ever after she deserved for her and her son. She is a devoted mother, Archie is the centre of her world and the bond between them both shines through in this novel. Archie was such an adorable little lad who has clearly been brought up well, some of his little ways made me chuckle especially when grilling the potential new man in his mum’s life to make sure his intensions were honourable! What I found refreshing was the witty tone in this book especially from the rather painful dates that she finds herself on! The worries that we face in the world of dating and intimacy after being in a long term romance and how hard it is to let the barriers down so as not to get hurt again is shown so well in this book. 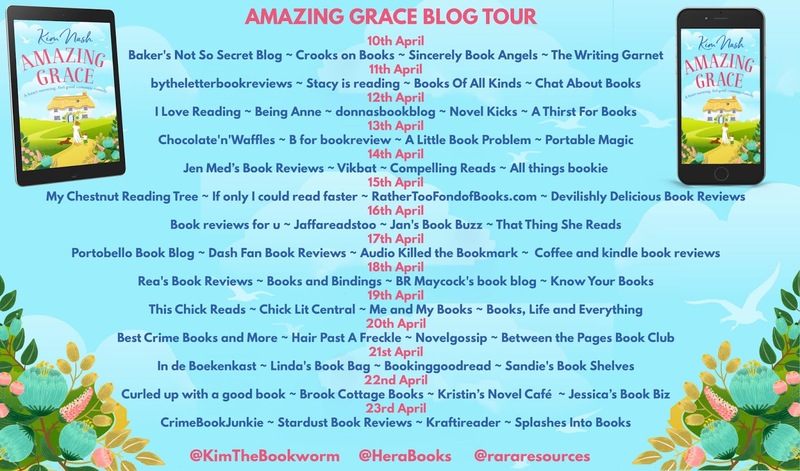 As well as romance, grief is also a strong part of this book and I found it really touching the parts written from Grace’s mum and found comfort in the idea that our loved ones could still be around watching over us. Her part in this novel were so tender and beautifully written. The story was quite simple and wasn’t farfetched it was a believable situation that touches on day to day struggles that we all face at some point in our life. I think the majority of readers will swoon over the handsome Vinnie who is an A-star gentleman who we all could do with in our lives! The pace of this book flowed perfectly holding my attention right up to the very last page but then I sat and felt so sad having to let the characters go. This was an enjoyable storyline and I enjoyed my journey with Grace as she finds herself and paves out a new life for her and her son. I look forward to reading future books by this author. 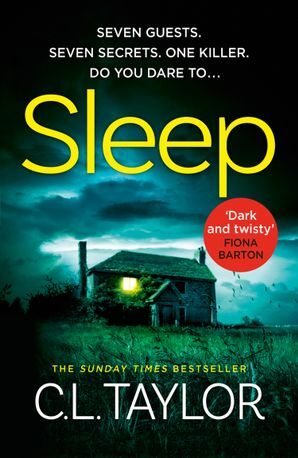 C.L Taylor is back with another tense and twisty storyline that will keep you up all night! 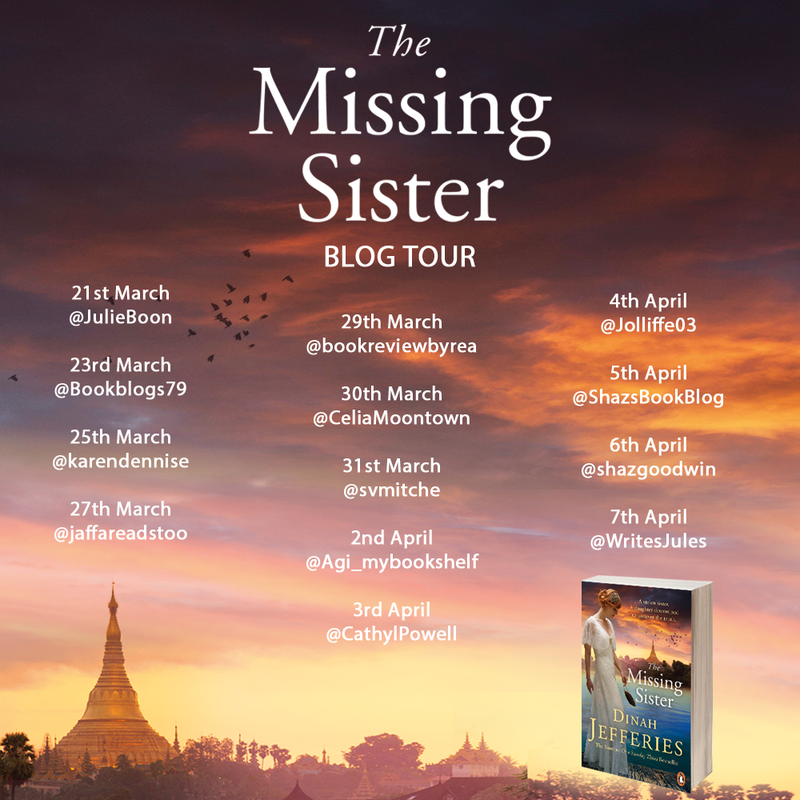 Today it is my stop on the blog tour and I am going to share my thoughts with you to tell you why this is not a book you want to miss. C.L Taylor is back with another mind-boggling suspense thriller titled Sleep. After a traumatic time in her life Anna is ridden with guilt from a tragic accident which she was involved in which is preventing her from sleeping and giving her night terrors. When messages begin to appear referencing her sleep troubles, she is convinced someone is stalking her and she is desperate to get away. Anna takes a job in a hotel on a remote island in Scotland, her first seven guests have arrived and it isn’t long before she feels her past is catching up with her, but who can she trust? This was certainly a storyline that was full of suspense, I continually found myself at different points in the book convinced that I had worked out a connection and was sure I knew who was out to get Anna and I did get to a point where I felt that C.L Taylor had made this a little easy and predictable only to then have another little revelation appear to lead me to a completely different character. Each time I thought I had worked it out I was then doubting myself and I found myself getting so frustrated and desperate for everything to be revealed! C.L Taylor always manages to transport us to the most dark and secluded settings and the Island of Rum in this book added to the tense feel that could be felt through the pages, you could feel how claustrophobic Anna must have felt with everything closing in on her with no way of escape on this secluded Island. There are a lot of characters in this book all who play a key part in the storyline, I was worried that I would lose track on who was who but I think the author was very clever in her writing here as my attention was focused on trying to remember each character which helped to distract me from closely following any clues to lead me to the right person. I did eliminate one of the guests from my suspicions early on in the book as I felt like it was too obvious for it to be that character. 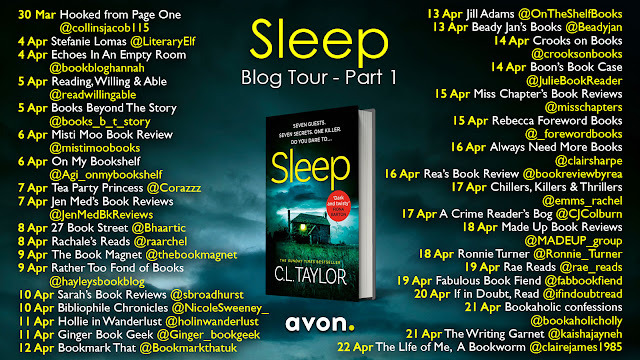 The Accident has long been my favourite by C.L Taylor, I have loved all of her books following it but none ever quite took the top spot, however Sleep has claimed the top spot now thanks to its suspense, gripping storyline and dark atmospheric setting. You all need to read this pacey unpredictable read this year. I need a head massage now to relieve the tension! 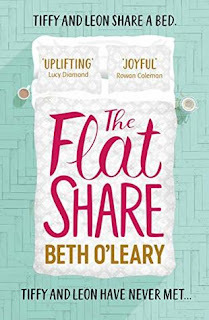 I always have my favourite go to authors whose books I look forward to each year, but I also love to find new debut authors who offer something original to enjoy and that was exactly what I was expecting when I saw The Flatshare by Beth O’Leary appear on my social media timeline. After Tiffy breaks up with her partner Justin she is desperate to find somewhere affordable to live but with prices so high her options are slim. Leon is in desperate need of cash, he works nights as a nurse so he comes up with a perfect plan of renting out his flat and his bed! Can Tiffy and Leon make the situation work even with the words of warning from friends and loved ones? I thoroughly enjoyed this storyline, it was the perfect book at the right time as I had read a lot of deep dark storylines so I needed something uplifting, romantic and witty and that was exactly what this book had instore for me. I can say that this is the first book I have ever read ( and I wouldn’t mind betting there are no others out there) that features a bed rental and it surprisingly worked incredibly well even if I did have SO many things going through my head regarding the logistics of how they were going to make this work. Although this was a witty and uplifting read the author does also touch on a couple of issues that both Leon and Tiffy are both facing and both were weaved into the storyline perfectly to create awareness and give a bit more depth to the storyline without it dulling the mood. The storyline is told from both Tiffy and Leon’s points of view which worked really well in this book considering they do not meet for a large part of the book. I found Tiffy’s chapters easy to read from the start but it did take a little getting used to with Leon’s point of view as the dialogue didn’t flow as well but after a few chapters I got used to his narrative. What I loved most in this book was the post it note conversations, they were humorous and I loved watching the friendship between Tiffy and Leon blossom through their words. I was routing for both of our characters as they both had such an honest, loyal friendly personalities who only deserve the best and it wasn’t long before Tiffy’s quirkiness draws Leon out of his shell and rather than finding her quirks annoying he soon finds them comforting and somewhat endearing. This is a praiseworthy debut as Beth has developed such loving and memorable characters and her storytelling is one that sweeps you up and doesn’t let you go. I was quite sad to leave these characters behind but I am excited to see what else this author brings us in the future. I do think that fans of Lindsey Kelk and Jane Costello will definitely enjoy The Flatshare. 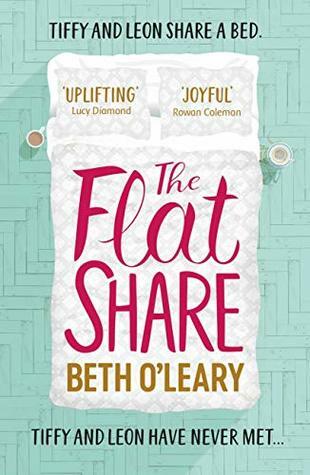 The Flat Share is out TODAY on Kindle and is due for release in Hardback on 18th April. Who doesn’t love a Sarah Morgan novel, full of romance and loveable characters? 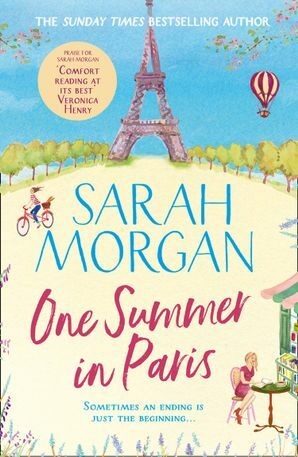 Her new release One Summer in Paris caught my eye on social media when the cover was revealed which in my opinion is her best cover yet and is definitely one that will stand out loud and proud in the bookshop. 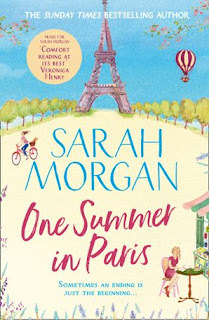 As we come to expect from Sarah Morgans novels, we are introduced to not one but two main characters, Grace who is uber organised and has everything planned to the last minute finds her life turned upside down but is urged by her daughter to head of on her trip to Paris to make her own memories and to get her head straight. Audrey has reached the end of her education and having grown up in a destructive home with her alcoholic mother she is desperate to get away to Paris and to make a new start for herself. Grace and Audrey meet in Paris and form and incredibly touching bond. Grace’s maternal instinct is just what Audrey needs and has had missing throughout her life and so it was wonderful for her to find that connection with Grace. Audrey is just the friend that Grace needs at this devastating time of her life. The storyline follows the ladies as they tackle events and emotions from self-belief and romance. I was desperate to get home each day to return to this book because I was so drawn to these characters as well as being mesmerised by the charming Paris setting and the added bonus of a bookshop, although I did gasp when Audrey declared she didn’t love books! I was surprised by Grace’s decision at the end of the book but overall, I thoroughly enjoyed this novel and I hope we meet Grace and Audrey again because they really made an impact on me and I am not ready to let them go just yet. 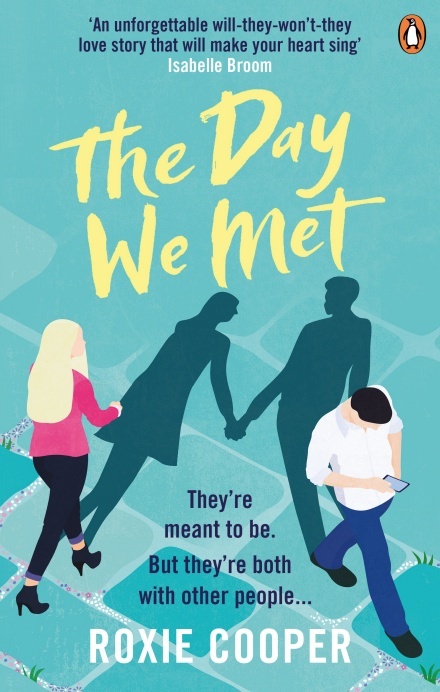 I remember last year looking to see what new releases were coming for early 2019 and I came across the synopsis for The Day We Met by Roxie Cooper, I hadn’t heard of the author before but I was drawn to the synopsis. This storyline took me on a whole new emotional journey. Lies, deceit and adultery is something that I, like many I am sure, can not abide and yet for some reason my heart really went out to our main characters Stephanie and Jaime as the connection they had ran so deep they truly are soul mates and what does occur between them doesn’t come across as seedy or sordid. It is true love at the wrong time situation and because they still love their partners and are not willing to just drop everything for each other you never quite know if they will ever become and item. They are there for each other once a year and in the short space of time together there is so much understanding, support and love for each over it just seems wrong that a love like that isn’t experienced every day. Both Jaime and Stephanie were likeable characters, Stephanie has her demons and as the storyline progresses and we see the bigger picture of her life and I found I was so desperate for her to take that leap and follow the path she was meant to be on, enveloping herself in the love she deserved. I became so wrapped up in their love story which is told over a ten year period and then things went to a whole other place and my heart was broken in two so a word of warning have those tissues handy. I loved the authors writing style, the believable romance she creates and the wonderful characters she developed in this novel. Each and every page of this book will keep you gripped but that ending will be sure to bring a lump to your throat.